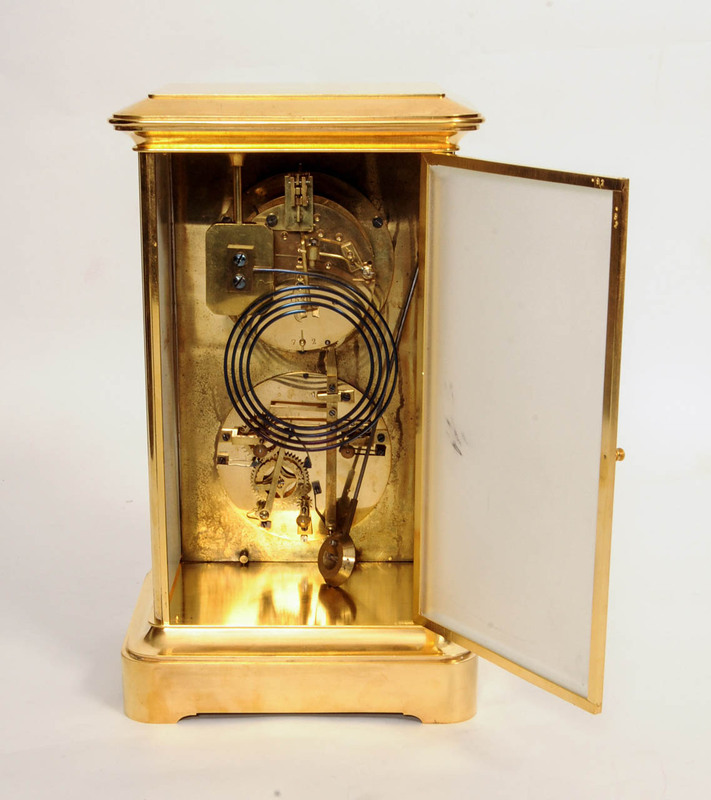 8-day spring driven movement and perpetual calendar, half hour striking on a gong, brass case with Sèvres panels. 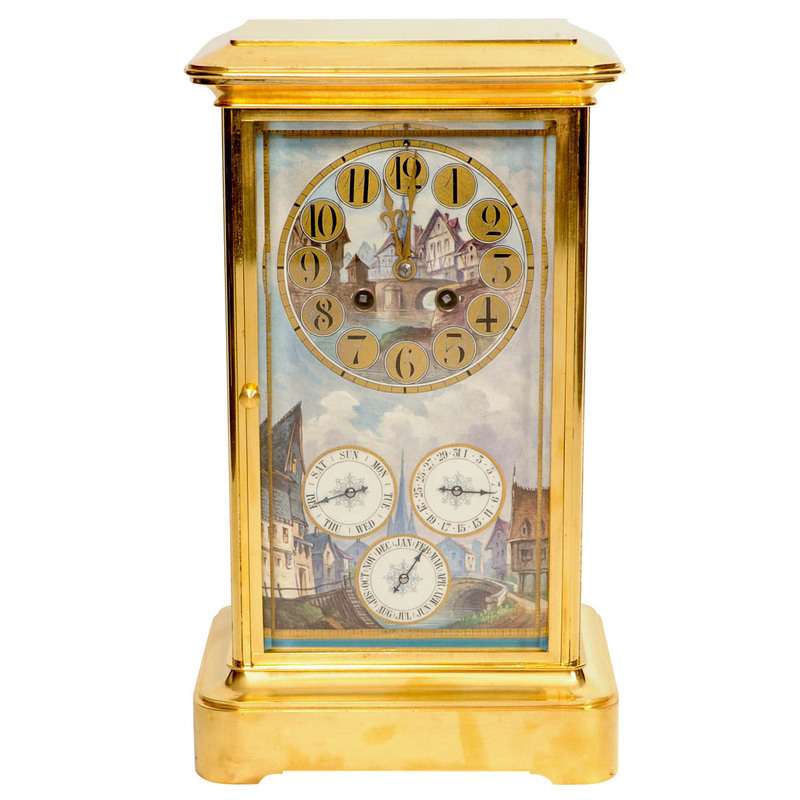 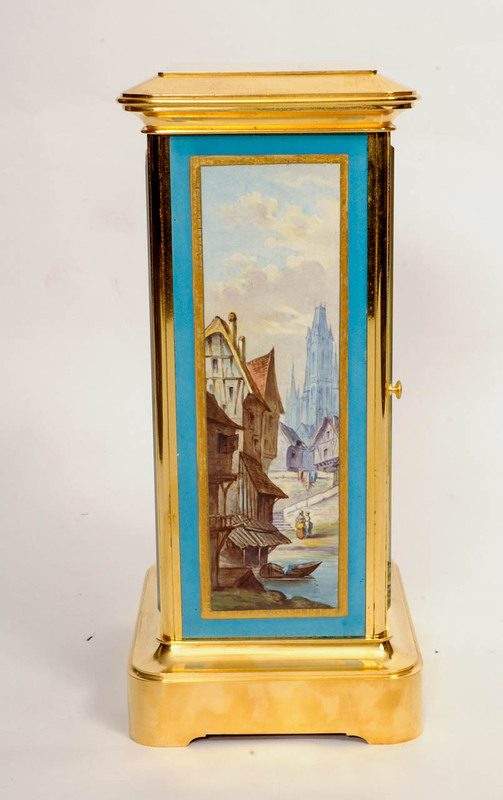 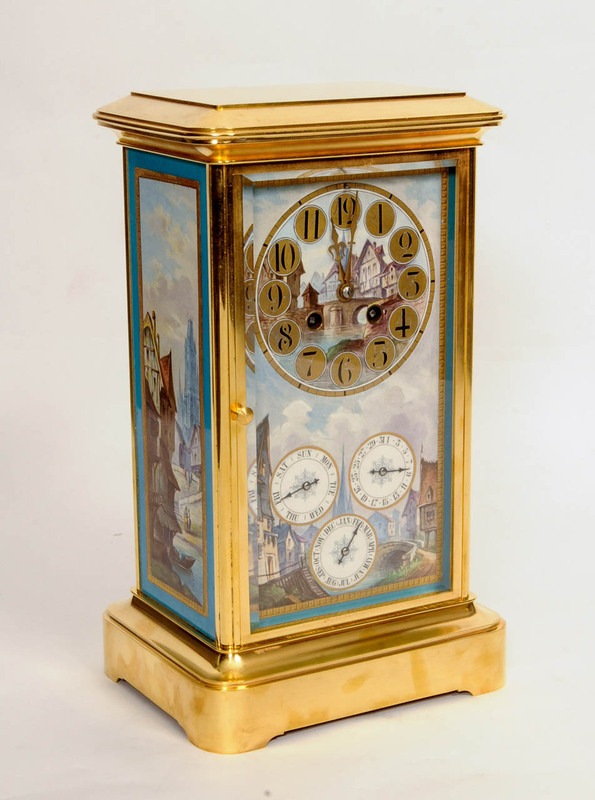 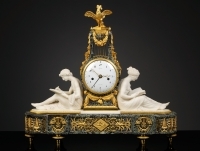 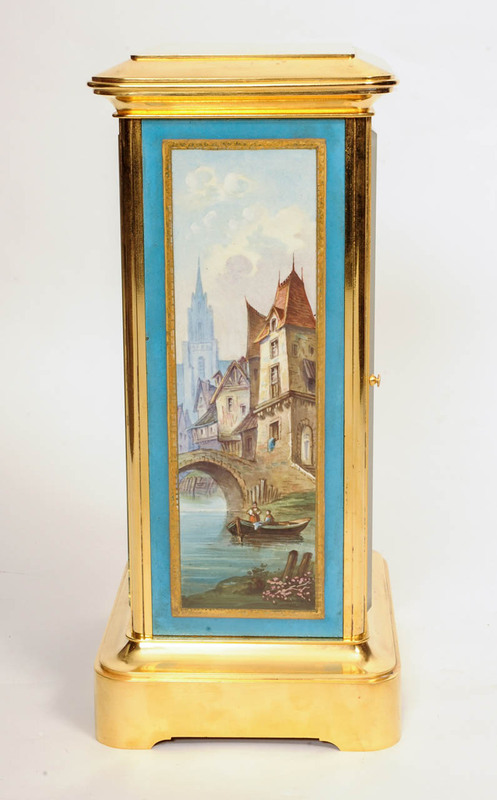 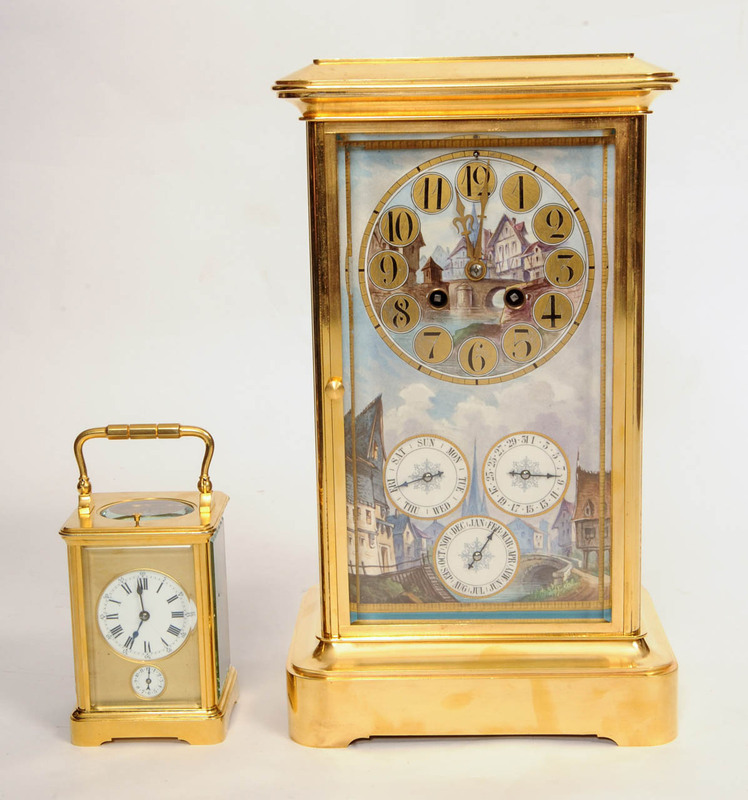 14-cm polychrome porcelain dial with gold and blue border, Arabic numerals with Asatian townscape in the centre, gilt hands, a similar townscape below with subsidiaries for day of the week, date and month, 8-day movement with Brocot escapement, rack half hour striking on a gong tripping the perpetual calendar mechanism below, rectangular moulded brass case with similar panels to the sides and frosted glass back door, on a moulded plinth. 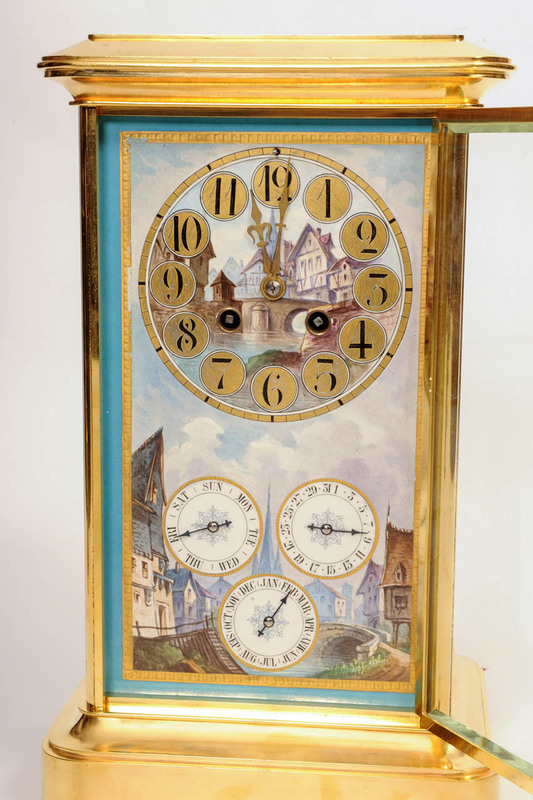 A lovely and decorative clock with an interesting perpetual calendar. 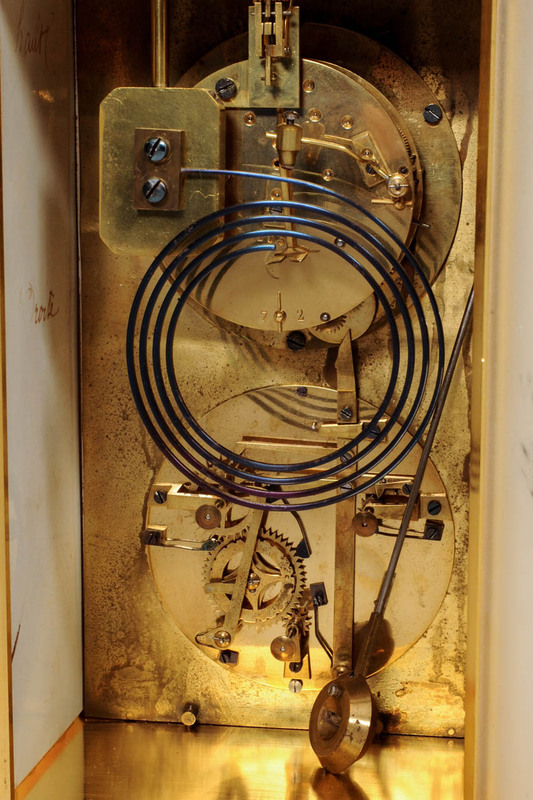 The clock is in good and original condition. 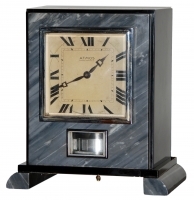 Fitting for a library or an office.